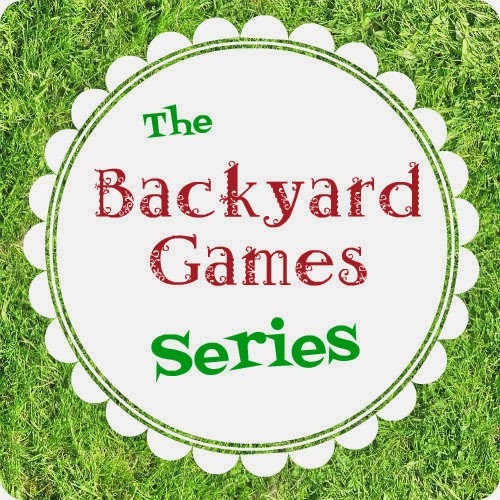 We were really excited to be able to join Emma at P is for Preschooler for the Backyard Games Week series. While Little Brother being under the weather and the actual rainy weather deterred us from doing this earlier in the week, we had a lot of fun with it this weekend. As a kid I always enjoyed doing obstacle courses, and have set some up for Big Brother in the past. I thought it would be fun to let him create the courses this time. We love to spend as much time as possible in our large, grassy yard during the summer months and there are several flat spaces perfect for obstacle courses. To begin with I gathered a laundry basket full of some gross motor toys and other objects that might work in an obstacle course. We have a lot to choose from, so this was an easy task! Items we included were: a soccer ball, plastic golf balls, whiffle balls, hula hoops, practice cones, a baseball bat, two frisbees, our t-ball tee, a sand bucket, a folding tunnel, the "hippity hop," a football, other small balls, and a few wooden spoons. For the first obstacle course Big Brother and I set it up together, so I modeled some of the ideas he might include. Then we both tested it out of course! We made Daddy come out and try it too. Big Brother set up a few more for all of us to try. They always ended with needing to run around the house, or as he said "run for our lives" around the house. As his attention moved to other things I figured we'd clean it up; but he knew his cousins were coming for a BBQ that evening and asked to leave it up for them. He set one course up hours before they came and had it waiting. Big Cousin happily joined in on the fun as she went through the course he'd made for them. Then she set one up for him to try. Big Cousin (age 7) was really creative with the materials. And also very supportive of the others as they tried it. Even Little Brother tried to get in on the action, although he was a little confused about the spoons. This was a fun activity I can see us repeating several times over the summer. It also proved to be a great "party activity" for a wide age range of kids (1-7). 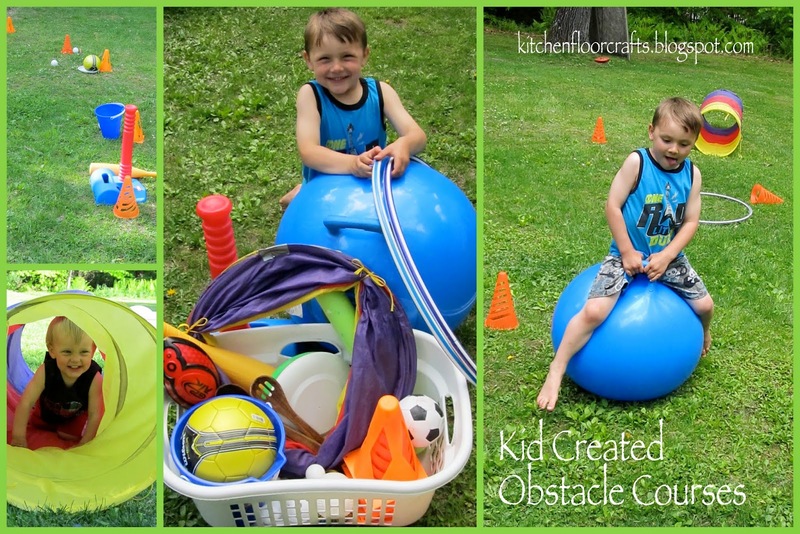 We'll definitely be adding it to our Outdoor Fun Pinterest board, where you can also find many of the other activities from this awesome Backyard Games Week series! I love that Big Brother really got into making the obstacles - and that everyone took part! So fun! It was fun for all of us, we even started to time some of the courses too! Thanks Laura, we enjoyed it!